Friday’s column is about a familiar name on this blog: Doug Evans, a commenter on Reading Log (and other) posts. 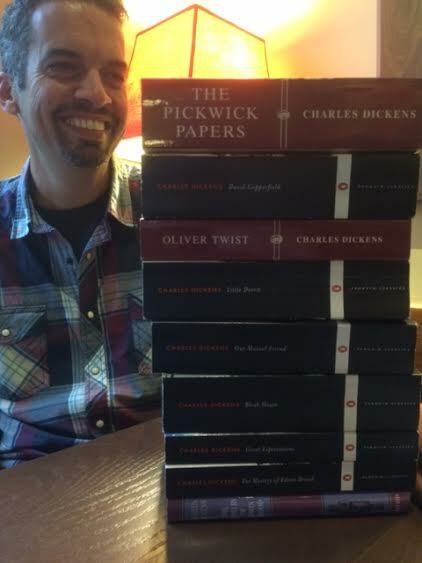 He recently completed a 15-year quest to read every Charles Dickens novel. He gives us the highlights and lowlights. I wish I could be that disciplined! I used to enjoy reading Dickens, but I got bogged down in “The Old Curiosity Shop”, never finished it, and haven’t yet gotten back to his books. I admire Doug’s persistence! If you’re going to read one writer in full, Shakespeare’s the man. I should do that.